Quick Bits : Use of earphone led to college teacher's death in mishap! Use of earphone led to college teacher's death in mishap! RAIPUR: A college teacher was killed when a truck hit her in Raipur in Chhattisgarh. 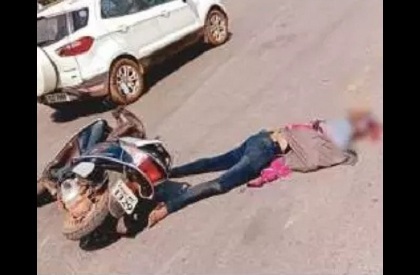 She was reportedly using earphone while riding her two-wheeler. According to police, Vaishali Pandey, 27, who lived in Charoda, was on her way towards the city, when she was hit to death by a truck that came from behind and hit at Tatibandh traffic intersection. She received fatal injuries and died. Pandey was assistant professor with Daga College. Eyewitnesses said that she was riding with earphone and was unable to hear the sounds--vehicles coming from behind and that of people who were yelling. The police are conducting investigation.